Ongoing news and full page articles on the Elphinstone Park Expansion are being written and published weekly in the local press. Click on The Mt Elphinstone Park We Deserve to read a recent two page story on the issue. You can also can also go to the CoastReporter and thelocalweekly online or pick up a copy of the publication (Upon visiting these sites just search for ELF, Elphinstone Park Expansion or Elphinstone Logging Focus for a complete list of breaking news, new and past articles and Letters to the Editor). Elphinstone Logging Focus (ELF) was pleased to be part of a blessing ceremony of the forest conducted by Sechelt (shíshálh) First Nation elders from Sechelt, BC, who visited the Wilson Creek Forest. The elders are hereditary family members who have made the Sunshine Coast their home for thousands of years. They made it clear that they support protection of all remaining intact, old forests because they are the sites for herbal medicines, protection of fisheries, wildlife and for the inherent rights of nature. Elphinstone Logging Focus (ELF) continues to have concerns that Sunshine Coast Community Forests’ (SCCF) is not addressing the real threats to the Wilson Creek Forest and its watershed. 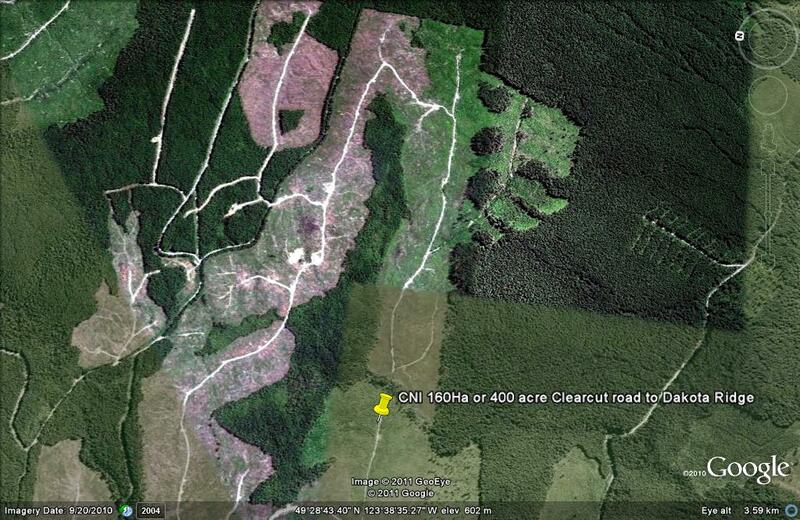 Their proposed EW002 cutblock is the last, large piece of intact forest in the entire 2,207Ha watershed. Back in May 2011 SCCF placed the cutblock on deferral due to mounting public concerns, which led SCCF to contract a team of consultants to look at the conditions of the whole watershed and whether not the last bits of forests could be logged without further to damage to fisheries. “The recently published ‘Wilson Creek Watershed Assessment’ has several shortcomings.” Ross Muirhead of ELF says. “The focus of the study was meant to determine the impacts of past and future logging has had on downstream fisheries. Several critical points were not looked at, including: water temperature changes affecting salmon, fine sediment data compiled by local Streamkeepers, historic peak flows were taken from the Roberts Creek water station and then compared to Wilson Creek system even though each has different forest cover regimes. Norm Macdonald is deputy chair of the Special Committee on Timber Supply, Opposition Critic for Forests, Lands and Natural Resource Operations and the MLA for Columbia River-Revelstoke. To read more click the Subject link above. Subject: ELF Benefit Concert Annoucement – ‘Building Community Around The Trees’, A Benefit Show For Mt. Elphinstone’s Forests. Featuring Shel Neufeld’s multi-media projected photographs and acoustic guitar performance and introductory opening remarks by the Squamish and Sechelt First Nations. Subject: EMERGENCY PUBLIC MEETING – Scheduled – Tuesday, Feb 21, 2012 at 7:30PM the Roberts Creek Community Hall. Elphinstone Logging Focus (ELF) has begun a campaign to expand the boundaries of the Mt Elphinstone Provincial Park, Sunshine Coast to include a 1,500Ha – 2,000Ha addition.